These dolls are beloved by thousands across the globe for many reasons. Whether you’re a doll collector who admires and appreciates the painstaking care and loving attention spent on each Reborn; a young girl who wants a lifelike doll to cherish forever; a mother who has experienced the heartbreaking loss of an infant and wishes to memorialize their memory; or you’re just someone who misses that joyous feeling that comes from holding a baby—one of these realistic toddlers is the perfect addition to your home. When you’re looking for a reborn baby doll, you want to make sure you find one that you will cherish for a long time, and to do that, you need to decide on several aspects – what skin tone do you want it to have? What type of hair? (Curly, straight, long, short? ), how old do you want it to be (approximately)? Do you want it to be in a special pose, such as the fetal position or sitting upright, or sleeping or awake? All these considerations need to be made before you bring a newborn baby doll into your home, and each one does add one a little bit of a price to your purchase. So if you’re looking to bring a reborn into your life, a reborn baby under $200 may be exactly what works for you. 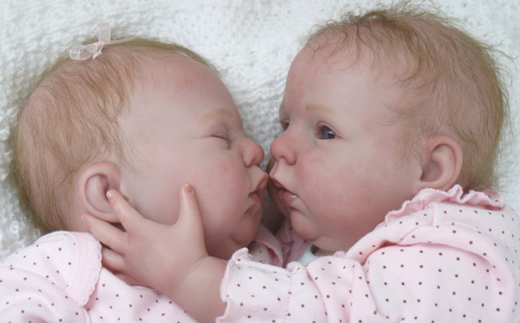 Check out the below reborn babies for sale under $200, and hopefully find the perfect one for you! 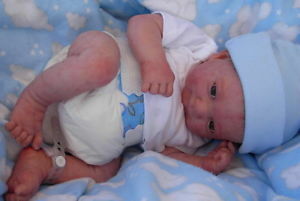 "My custom baby doll came just like the photo I provided. I could not be more pleased!" 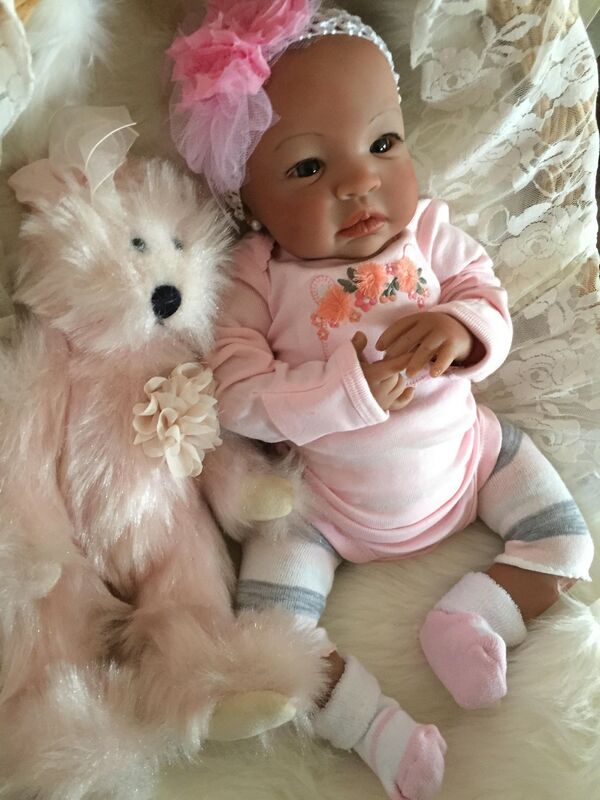 At RebornBabyDolls.Org, we are committed to showcasing only the highest quality Reborns on the market, whose lifelike features and skin can include enhancements such as a cloth underbelly, vinyl mold, layered painting, and mohair rooted hair and eyelashes. Reborner artists are expert artists and sculptors who take great pride in their work, and who often collect reborn infants themselves. One baby doll can take months to create, as the artist works tirelessly to ensure close attention is paid to every detail during the reborning. If a mother has requested a reborn newborn be modeled after a lost infant or now-grown child, a provided photograph will be utilized to match facial expressions, birthmarks, hair and eye color, and even posture. Reborns can be small—as little as 4 inches in length—and can be created to match a specific ethnicity, skin tone, gender, or look. You don’t have to be a doll collector to enjoy a reborn baby doll, or appreciate the immense job that comes from holding one of these likelike babies in your arms. While reborn baby dolls have always had a loyal following of collectors who like the dolls for themselves – and the beauitful, lifelike craftsmanship, there is another reason people cherish these realistic dolls. Many experts believe that reborn dolls may help alleviate some of the grief, stress, depression and loneliness mothers and family members experience after the loss of a child. 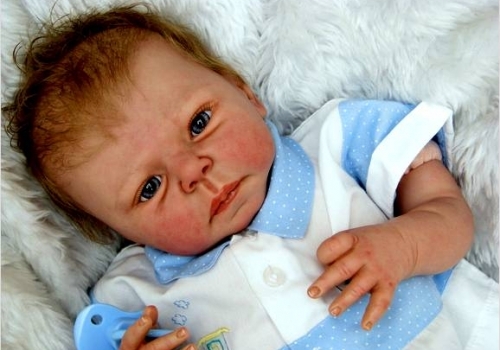 Reborns are often so lifelike in appearance and lovingly crafted that they – in some cases – can help in the grieving process, while also being a heartfelt celebration to a lost child. While this is not a happy reason for purchasing a reborn baby doll, it is one of the most common reasons for purchasing a lifelike baby doll. While we do not want to dwell on this sad topic, we do want to acknowledge the healing and comfort that many of our friends and supporters have received from their own reborn baby dolls. Nothing of course can take the place of a lost loved one, but many have found comfort in their reborn doll, or even dedicated a memorial to their lost little one by requesting a custom doll made to their child’s likeness. We are always happy to hear stories of how these reborns help mothers and families during such a difficult time, and often become cherished themselves. However you found our site, we thank you for stopping by, and hope that you give a reborn baby doll a chance. Reborn dolls have existed since the early 1990s, and became an instant underground hit – garnering a large and dedicated following that spans age, income level, location, ethnicity, and industry. 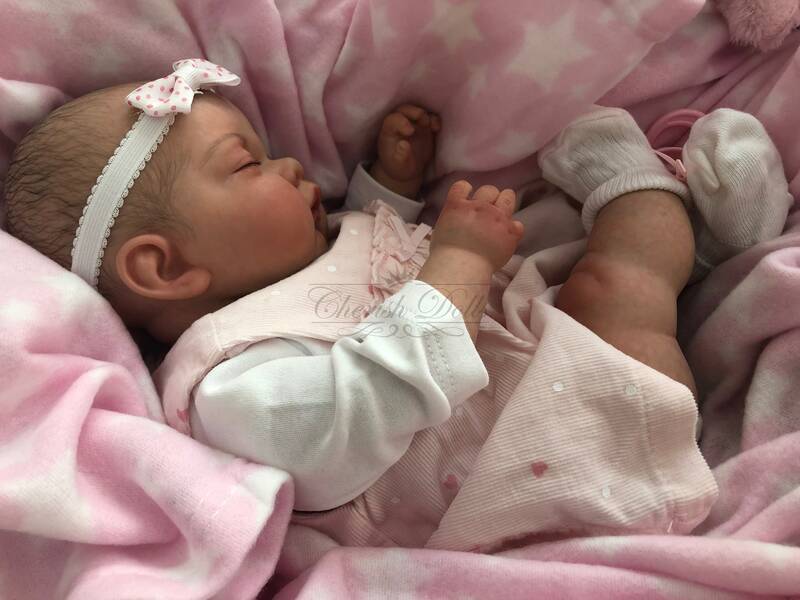 Reborns have gained media attention as more people increase their reborn doll collections and the demand for high-quality reborns raises awareness and praise for the best reborn artists and sellers. The internet has allowed the market to gain traction and expand its audience to include fans from overseas and outside the normal reach of the most well-known reborners. There are now even reborn niches including Black Reborn Baby Dolls, reborn ‘preemie’ babies (premature babies), reborn animal babies, and even reborn zombie & vampire babies. Whatever reborn infant you are looking to adopt, we are certain you will be able to find it within our collection. Whether you are looking for extra features to add more realism to the doll—such as mohair, magnetic bows and caps, faux heartbeats or breathing, weighted legs and posable arms, or even heated bellies to simulate warmth and temperature—you can rest assured that your reborn babies will be one-of-a-kind, high quality, and stunningly realistic. 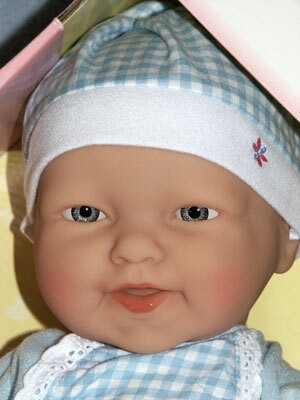 Discover your Reborn today and treasure your lifelike doll for years to come.